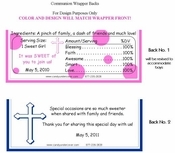 This Communion Wrapper really makes a statement! 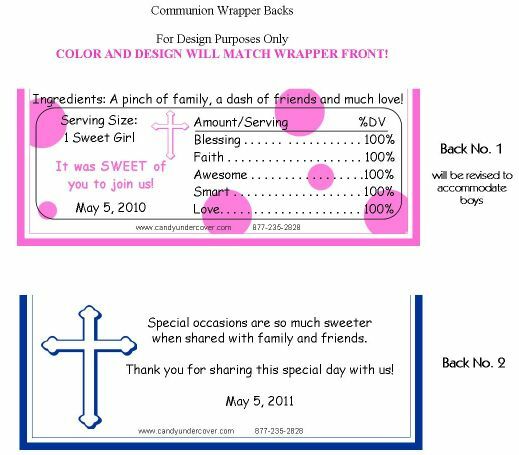 Our Pink and Black Cross Candy Wrapper is fun and funky! Complete with or without a photo, in the "Oh So Trendy" colors of pink and black! A beautiful Cross on the cover along with your Daughter's name and date of Communion. These 1st Communion Candy Bar Favors will look stunning on your tables!